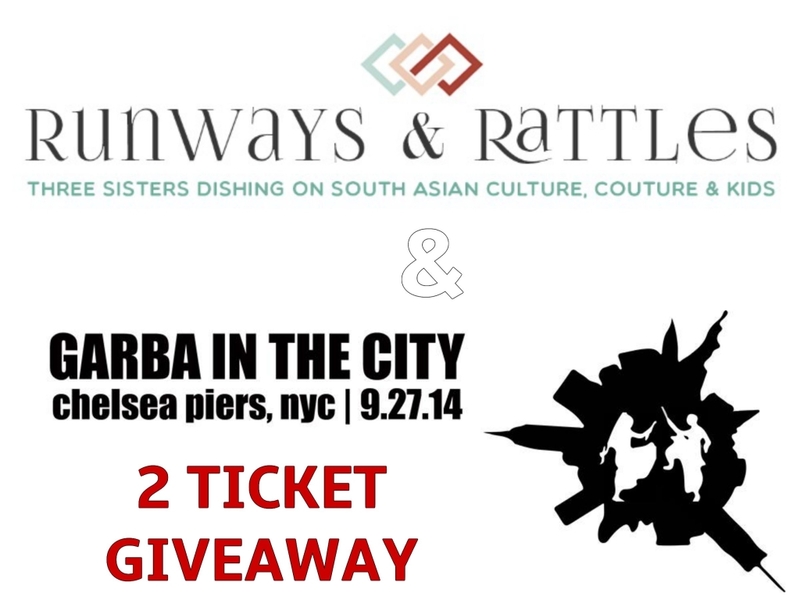 Runways & Rattles and Garba in the City are teaming up to give away 2 free tickets to Garba in the City to a very lucky winner!! We have been blogging about the upcoming Navratri festival which starts next week and we are excited to team up with our close friends of Garba in the City to give away two free tickets to the biggest garba event in New York City! See rules below to participate in this $70 valued giveaway. In its fourth consecutive year, Garba in the City 2014 will take place on Saturday, September 27th at the Sports Center at Chelsea Piers in Manhattan. 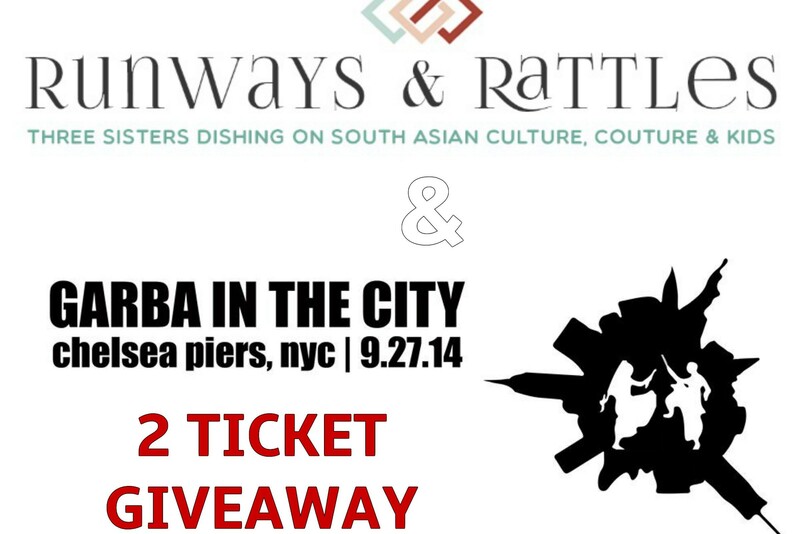 Garba in the City is the premier South Asian dance event to attend in NYC. The event will feature live music by one of the tri-state area’s leading bands, Medley Entertainment with lead vocalist, Ritesh Rathod. A portion of the proceeds will be donated to the Nanubhai Education Foundation to support education in rural communities of India. Come out and attend the premier garba-raas event in NYC and dance the night away! The winner will be chosen at random at 11:59pm on Friday September 19th 2014, so please make your submissions by then. We look forward to your participation in this giveaway!